Description: $46 each. 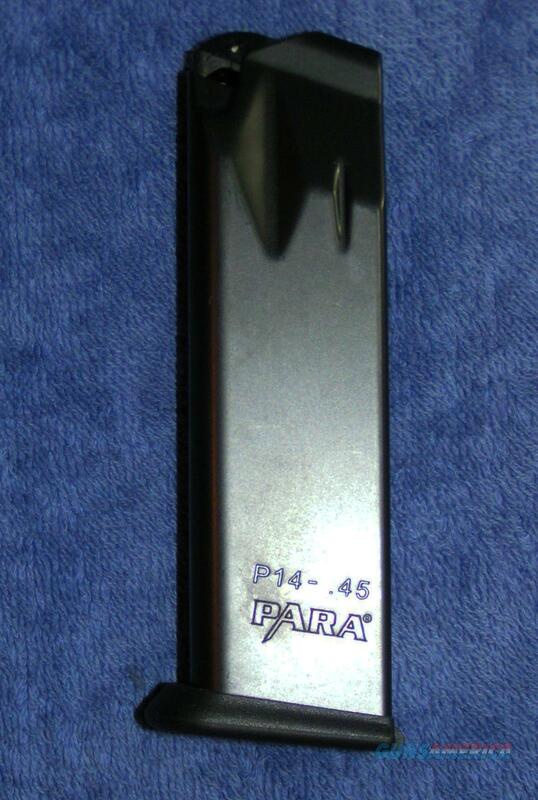 New factory Para Ordnance P14 mag. Holds 14 rounds of 45ACP. Stamped "MADE IN ITALY" and "PARA" on the body and has the Para Ordnance logo on the floorplate. Blue steel body. I accept credit cards cash, personal checks, company checks, money orders, cashier's checks and bank checks. No credit card fee.$3 USPS shipping. Florida residents add 7%. I combine shipping. Rich.